The GOP tax bill should increase consumers’ ability to buy new cars. 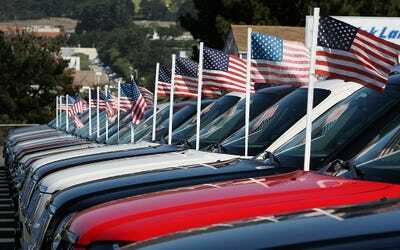 With one month to go before the end of 2017, it appears that new-vehicle sales in the US will come in above 17 million. Analysts don’t expect 2017 to match 2016’s record of 17.55 million, but something close to 2015’s 17.5 could happen. “The additional spending power that most households will have due to tax reform should result in a continued ‘move up’ in what consumers purchase,” said Jonathan Smoke, Cox Automotive’s chief economist, in a statement. Cox anticipates a weaker 2018 for sales, with the total coming in at just 16.8 million – the market’s first sub-17-million year since 2014.
Business InsiderWhat a boom look like. The dynamics of a tax are expected to offset interest-rate hikes and enhance consumers’ ability to buy more expensive new vehicles. 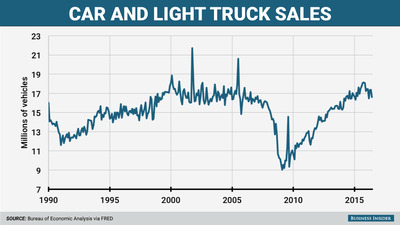 The latter factor will help automakers maintain their profit margins even as sales decline. A concern for the industry is obviously that factors unrelated to the natural conditions of the market in the US will lead to a bigger drop in annual sales when a downturn does arrive. 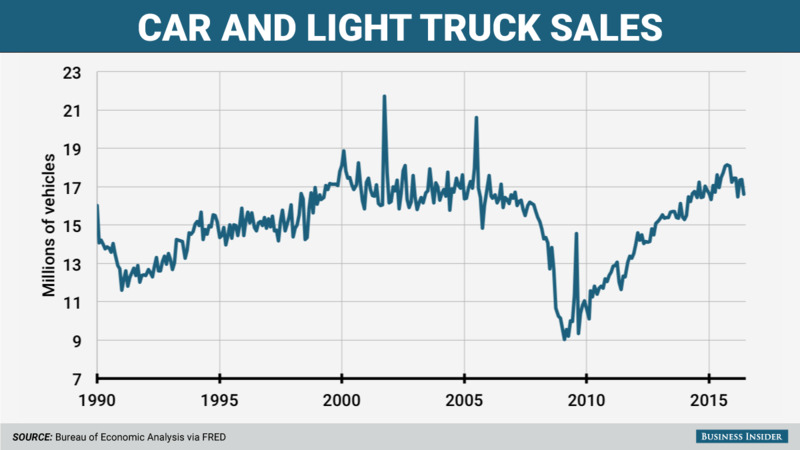 For example, prior to the financial crisis, the US market hadn’t posted a sales pace in the 15-million yearly range since the late 1990s.